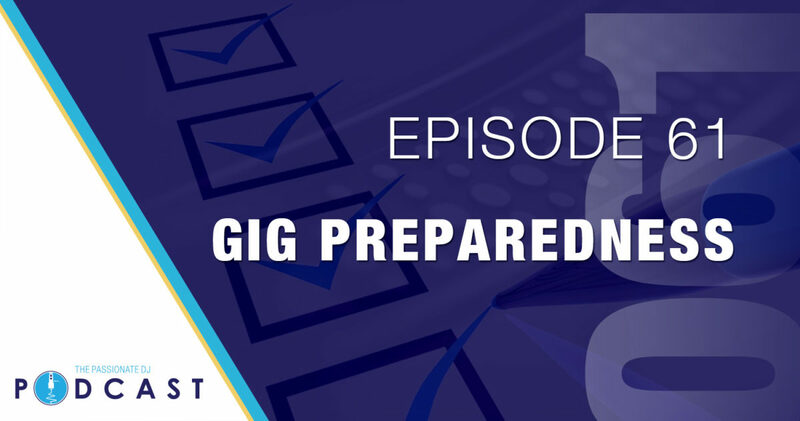 For episode 61, David and Trip Turlington answer a voicemail for a new, aspiring DJ looking to fill his music collection without breaking the bank, before they dig in to this week’s main topic: Gig Preparedness. There’s a lot of things that can ruin your night: Missing an important cable or adapter. custom mapping disasters, and unwelcomed software updates are only but a few. Wouldn’t most of things that can go wrong (or HAVE gone wrong) be alleviated by just a little foresight and preparation? David and Trip discuss lots of things that someone can do to prepare for a gig, ranging from the obvious ‘day before’ check in with the promoter / client and equipment checks, to the ‘day of’ pre-show ritual, and even the less obvious ‘day after’ follow up. Make sure to tune in to this episode, and let us know what things YOU do to prepare!